Today's post is super duper quick. I wanted to show you a little project I worked on a few weeks ago. As a freelance makeup artist, I'm always trying to find new ways of staying organized and consolidating my kit. Today I'll show you how I organized some of my loose powders. I have a lot of loose powders. 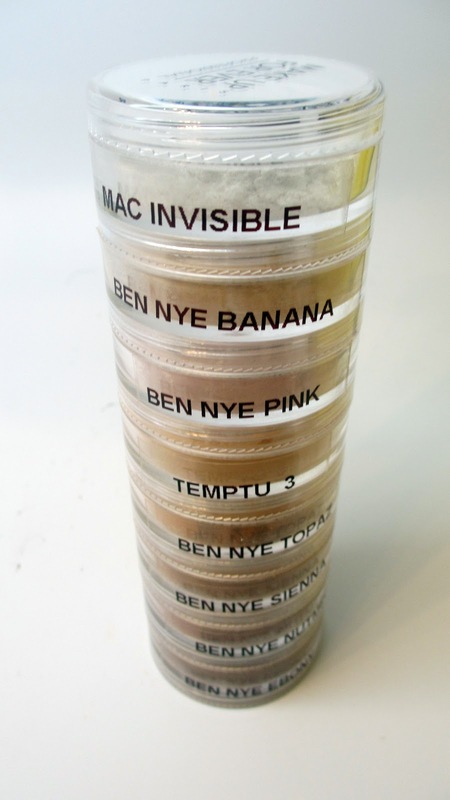 Many of the Ben Nye powders have become super popular and I recently purchased a bunch of them. 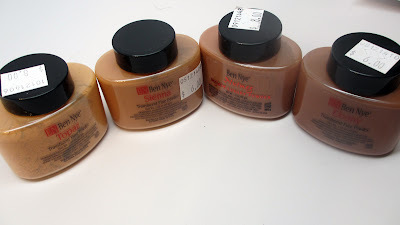 The problem with them is that loose powder containers are bulky and not easy to carry around. I decided to transfer them into a stackable powder jar with sifters that I purchased from the Makeup Forever Pro Road Show. You can get a similar stack from your craft supply store as well but I like these ones since they're slimmer, you can hold more colors in a stack, and they have sifters. This is actually two stacks connected. Here's a before shot. 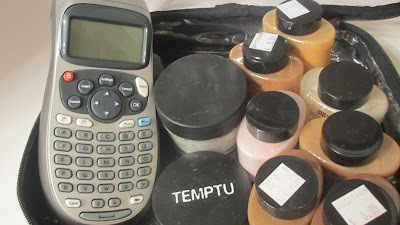 It's helpful to have a label maker so that you can easily identify the powders. I got mine from Wal-Mart years ago. Just type in the name and you stick it on. I also used a spoon to scoop out excess powder and also paper towels to line my work area - it can get messy! Here's the after shot! Much more organized and takes up less room. I actually carry this stack in a pouch in my Zuca for traveling gigs and it works great. Like I said, the built-in sifters keeps everything from spilling. I've upgraded to this from an old jewelry/bead stacker from Michaels and I like this better. But you might want to try the craft store first for some cheap alternatives. Hope this helps! If you have any more organizing tips let me know in the comments below. Great idea, great post! I have a quick question: What would you say are the 2 most used powders from this line for you? Also, I can´t really tell from the bottles, which would fit best NC 20 range? I don´t like getting the powder and then it´s too pink or dark....Would much appreciate if you could help out!! 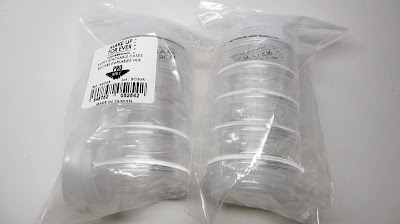 I recently transferred my powders into stackable, sifter jars too! It's so much neater. Great tip Ren Ren!